Added by MK HUDDLESTON on October 9, 2018. LARPing, otherwise known as Live Action Role Play, is a game known nationwide with various tournaments held across the country. Allowing adults to dress up and physically pursue their fictional goals through fictional battle, LARPing is one of the few creative outlets of its kind. And now the trend has come to Talawanda. 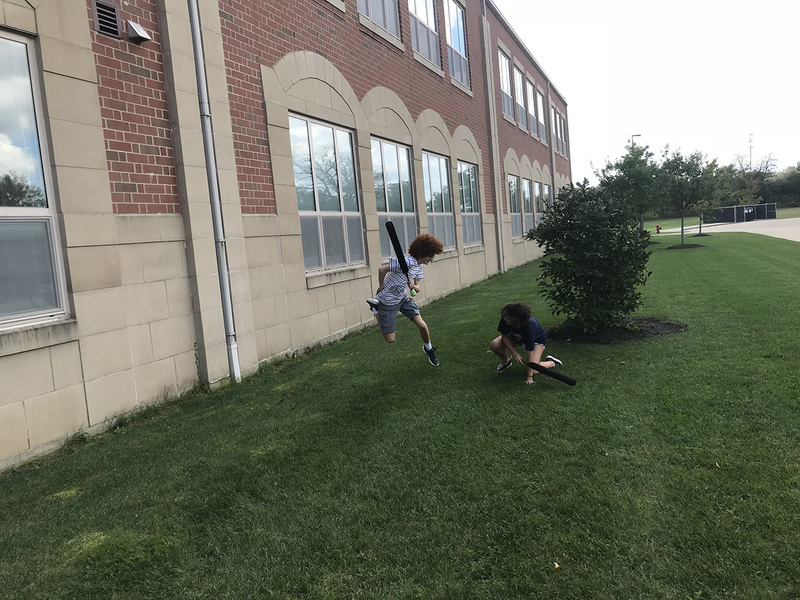 The LARPing club is run by President, Daniel Ross (Better known by his fellow club members as Void, Fire Destroyer Of School) and by Vice President, Isaac Bonham. The club has around 9 to 11 members and they meet in the side parking lot every Wednesday, right after school. 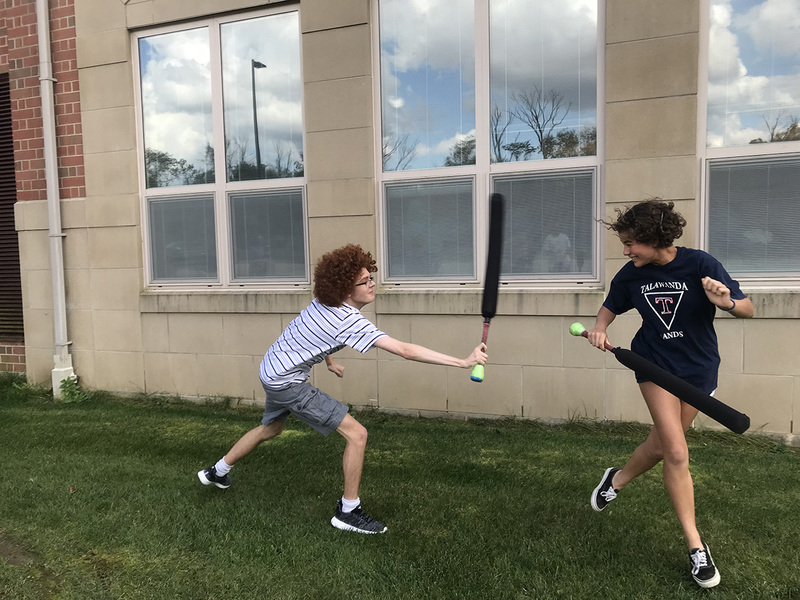 “It’s a lot of fun,” stated Bonham, “I can whack people without meaning to hurt them and it’s a fun way to exercise.” The whacking Bonham talked about is done with play-swords, handcrafted by club President, Daniel Ross. These swords are made from a base of a graphite golf club with a layer of pipe insulation around it, followed by a layer of packing tape, and finally, a layer of pantyhose on the outside. Ross said they take around $5 to make and funding comes primarily from member-donations. 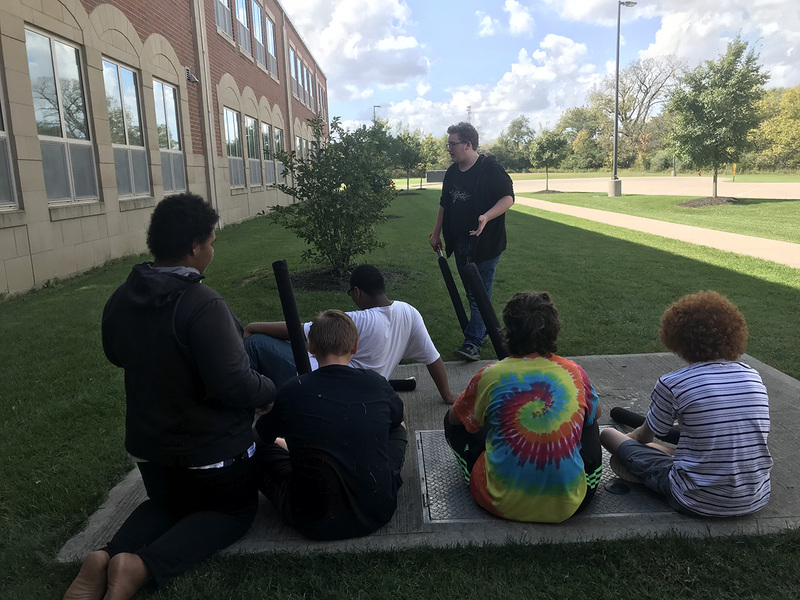 So far the club holds mainly one-on-one battles between club members, but is hoping more teams will pop up in the area or at other schools to create some real competition. “LARPing is a national thing!” Stated Bonham, with hopes to soon compete against some unfamiliar faces in the near future. To see what this group will be doing next and to be apart of the action, come check out LARPing club in the side parking lot. They meet every Wednesday after school once the buses have left. Daniel Ross, a.k.a “Void, Fire Destroyer of School” opens club meeting with weekly announcements. Isaac gets some air while Jean successfully goes for his legs. Tribune: 1; LARPing Club: 0.